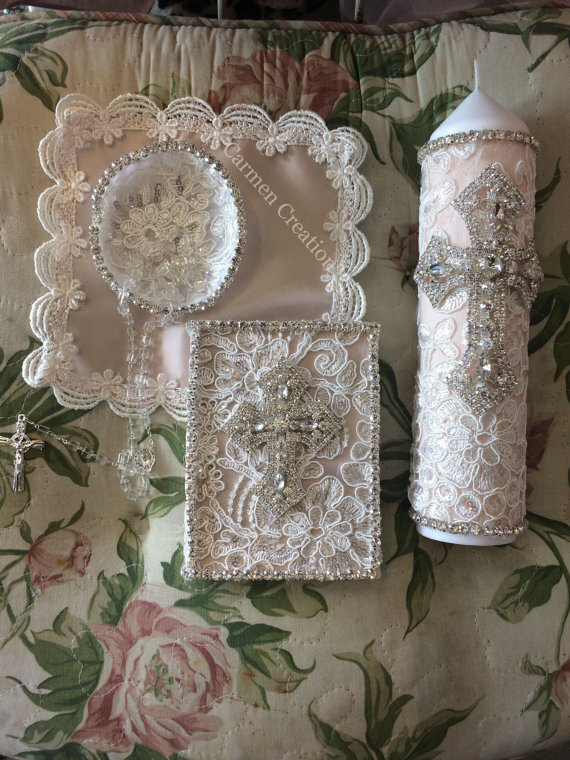 Our Baptism sets are made to match anyone of our gowns. When purchasing this item with one of our gowns we assume you would like it to match the dress. The color, lace and design will the item purchased.